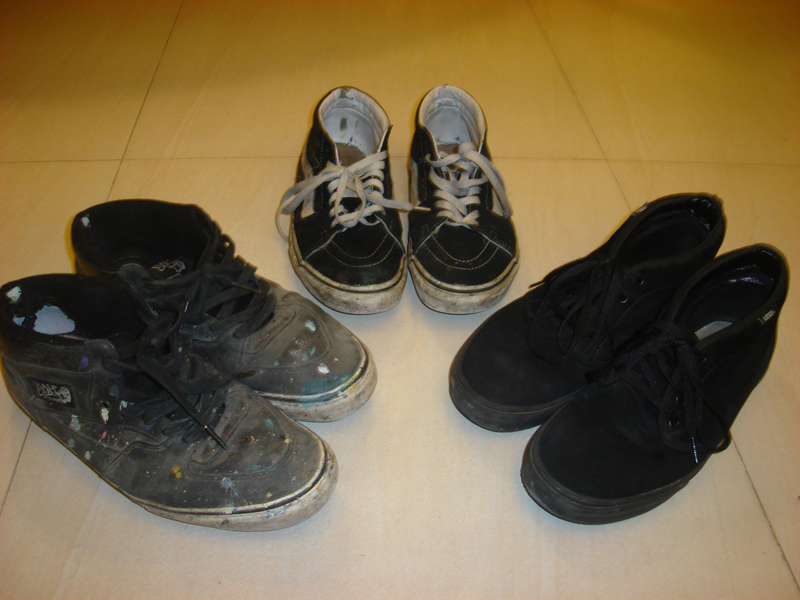 Date - Vans Chukka Boot "Black/Black"
Family - Vans Sk8 Mid "Black/White"
Friends - Vans Half Cab Pro "Black/Supertuff Suede"
Can anyone clean this sets of shoes please !!!!! Among the three, the half cabs are the best! I'm pretty sure there's an awesome story behind those babies. why do we need jason markk to clean those sneakers? this guy is just true to himself.. i'd rather have a dirty shoe with a great artwork than a clean sneakers just chillin out and doing nothing but to brag.